Debating the Second Amendment: Why do Guns Retain their Importance? 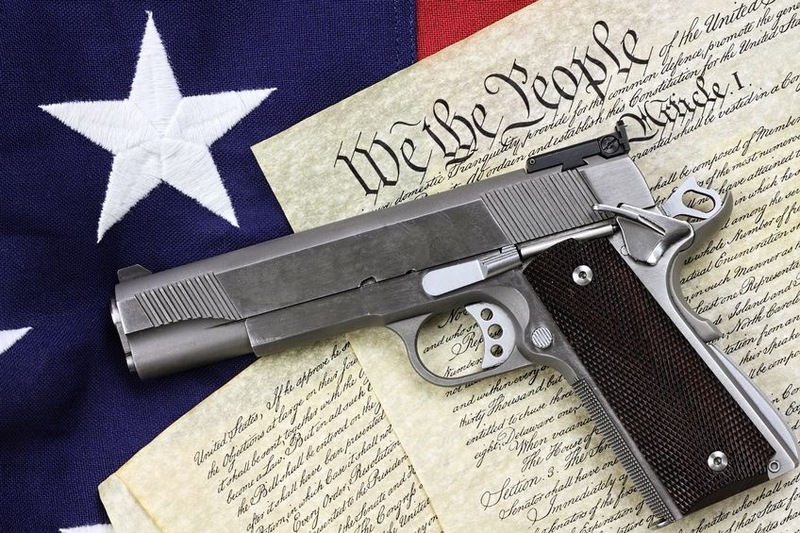 Leave a Comment on Debating the Second Amendment: Why do Guns Retain their Importance? What’s wrong with the gun control in America? Why are Firearms so important to Americans? Despite the fact that these words have been written centuries ago, these very words have sparked a huge controversy over gun control in this country due to the variety of interpretations. Generally, the liberals tend to cite the “well regulated Militia” section to justify the restriction of firearms to military personnel, while more conservative individuals tend to focus on the “the right of the people” section claiming that every individual shall not have their right to a weapon to be infringed upon. With the recent shootings in Parkland, Florida, we felt the need to discuss the association of firearms in American culture. Specifically, the firearms sales in the United States and the political influences that firearms have on the United States government. Each state has separate gun control rules and there are more regulations in the liberal states than the conservative ones. As seen in the diagram above, the states like California and Massachusetts have the most amounts of gun regulations, while the states in Central United States, like Idaho and Montana, have laxer restrictions. States also differ on the extent and nature of these regulations as well. With the recent shootings, assault rifles and large capacity magazines have been brought to the limelight and the need to regulate these incredibly precise, lethal weapons is important to gun control advocates. California and New York have regulations that restrict these particularly dangerous weapons in their legislation. Whereas, the majority of states do not even address these types of firearms. When a shooting occurs, there seems to be a renewed effort for federal gun regulations. However, there seems to be a lackluster effort by the legislative branches of government. The National Rifle Association (NRA) tends to become the scapegoat for the inaction of the federal government, mainly because of their strong influence on the political system. The NRA, the largest gun advocacy group in the United States, was designed to “promote and encourage rifle shooting on a scientific basis. In 1934, the NRA started to mail legislative members information regarding firearms usage, causing two gun control legislations to be passed. They became more influential in the political system in 1974 when they became a Political Action Committee (PAC) so that they could fund senators directly to get leverage to pass or reject pieces of legislation opposing the views of the NRA. The NRA does not spend a considerable amount of money directly on the legislative bodies of government but, during the recent town hall, Marco Rubio, a Florida senator, refused to part with the contributions from the NRA, saying “I will always accept the help of anyone who agrees with my agenda.” The political support is what he needs, not the money itself. In the previous election, the NRA sent local representatives in various congressional districts to spread ideologies in churches, gun ranges, barbeques, and other local establishments. They believe that by influencing people on a local level, the members would elect representation in every level of government that mirror the views of the NRA. The interest in protecting the Second Amendment is enormous and with the influence that the NRA pulls on the government, gun control is unlikely, despite what gun control advocates claim. According to a survey from the Pew Research Center, people generally purchase weapons for protection or hunting. Despite the continuing efforts of the NRA to perpetuate the need for guns by riding this inherent cultural need for protection, gun sales here have dropped considerably from 1947, where the percentage of Americans owning a firearm was at an all-time high of 47%. Currently, statisticians estimate that that number has dropped to around 31% to 34%. According to a study by Harvard University and Northeastern University, there are approximately 250 million guns in circulation as of 2015. Nearly half of all owners own one or two guns. This suggests that there are the “super owners” of firearms. About 3% of the gun owning population own 50% of the guns in circulation. Some of these ‘super owners’ possess 17 guns apiece and that is where the majority of future sales come from. Further, firearms are unlikely to disappear from the United States not only because of their cultural and political associations, but also because of their economic ones. According to IBIS World statistic, the firearms industry has a revenue of $17 billion and has grown by 2% each year from 2013 to 2018. According to the National Shooting Sports Foundation (NSSF), there were about 301,123 jobs that were gun-associated in the United States while the industry contributes a total of $51.3 billion to the American economy. Idaho Governor Butch Otter claimed that the gun industry is an “important piece of the economy” as the industry accounts for over 3116 jobs and $513 million in the state alone. Even in a more liberal state like New York where legislation is more stringent, Governor Andrew Cuomo needed to ensure sellers, specifically Remington Arms, that the gun control measures being implemented were not intended to hurt the industry, as it provides an estimated $1.2 billion to the economy and employs about 8000 workers in state. Given these numbers and comments by political leaders, we can see how the gun industry is important to the local economy, which makes passing concrete gun control regulation difficult. However, there has to be a middle ground which both sides can agree upon in order to prevent another malicious attack on innocent people, especially in a school. Fatal and non-fatal shootings also have a repercussion on the US economy. According to a 2012 statistic from Mother Jones, these shootings cost the US $229 billion, including direct and indirect costs, which is 1.4% of the total US gross GDP. Direct costs, including costs of incarceration, is approximately $8.9 billion and Mother Jones approximates that the indirect costs, including approximation of quality of life and lost wages, add up to about $221 billion. If the lives of innocent people are not sufficient to solve the issues associated with gun use, then the adverse effects of gun use on the US GDP should be the final push for a solution to prevent gun-related shootings. Most importantly there should be more research and federal investigation into the health effect of firearms. The Center for Disease Control and Prevention (CDC) is prevented at the moment from any form of advocacy related to guns, but can still research gun-related deaths. This amendment was sponsored by Jay Dickey of Arkansas and pushed for by the NRA as public-health researchers suggested that there was a link between the personal firearm ownership and homicides and suicides. Because of this amendment, the budget for this kind of of research to be conducted at the CDC was significantly reduced which has in effect, ended the federal research on gun deaths. Many researchers say that the primary problem that lies with firearms is the lack of concrete data, as most statistics are all approximations. Ironically, Dickey later felt that there was in fact a desperate need for the CDC to collect more data regarding gun-related deaths. The constant push-and-pull of the Second Amendment was intended to make the Constitution to be open for interpretation. However, in light of the recent shootings in Parkland, Florida, we hope to see a path to standardize gun regulations across the country and work to bridge the gap between opponents and proponents of firearms. By standardizing laws, there will not be any discrepancies between states, and that the types of firearms sold in each state will be the same caliber, making for a simpler system. The federal government should adopt the gun laws of Massachusetts, as they have one of the lowest gun death rates in the country. The Governor of Massachusetts has said that the state has decreased gun deaths by 40% since 1994. The Prevention Institute, a non-profit organization committed to improving community well-being, has suggested a few common sense pieces of legislation that should be mandated for all gun users. First, they suggest that there should be a push to establish a culture of gun safety, where there should be repeated, mandatory training and stringent permits with safe and secure gun storage. In addition to this, the Institute suggests that there should be mental health treatment that is more accessible, as the shootings are generally caused because of problems with one’s mental health. Before one is able to obtain a gun and for that individual to keep the gun, that person must be mentally fit to carry one. Lastly, the CDC should be allowed to investigate at will and collect as much concrete data as possible. Should they be able to investigate and research at will, they will be able to create a very effective and targeted solution to gun-related homicides. While there are going to be various potential solutions to this problem, some of which may or may not be effective, there must be some semblance of change in order to prevent such atrocities from happening in the future. July 2016. Accessed February 28, 2018. http://firearmsdebate.com/wp-content/uploads/2016/07/firearms.jpg. Popken, Ben. “America’s Gun Business, By the Numbers.” NBCNews.com. December 03, 2015. Accessed February 28, 2018. https://www.nbcnews.com/storyline/san-bernardino-shooting/americas-gun-business-numbers-n437566. Bedard, Paul. “2017 is second biggest year for gun sales ever, might top 2016.” Washington Examiner. July 06, 2017. Accessed February 28, 2018. http://www.washingtonexaminer.com/2017-is-second-biggest-year-for-gun-sales-ever-might-top-2016/article/2627883. Enochs, Kevin. “The Real Story About Gun Sales in America.” VOA. December 05, 2016. Accessed February 28, 2018. https://www.voanews.com/a/gun-sales-in-the-us/3619243.html. Follman, Mark. “Gun violence costs America $229 billion a year-more than $700 for every man, woman, and child.” August 11, 2017. Accessed February 28, 2018. https://www.motherjones.com/politics/2015/04/true-cost-of-gun-violence-in-america/. Gallup Inc. “Personal Safety Top Reason Americans Own Guns Today.” October 28, 2013. Accessed February 28, 2018. http://news.gallup.com/poll/165605/personal-safety-top-reason-americans-own-guns-today.aspx. IBIS World. “Guns & Ammunition Manufacturing – US Market Research Report.” Guns & Ammunition Manufacturing (US) – Industry Report | IBISWorld. February 2018. Accessed February 28, 2018. https://www.ibisworld.com/industry-trends/market-research-reports/manufacturing/fabricated-metal-product/guns-ammunition-manufacturing.html. Leskin, Paige. “See Which States Have the Strictest – And Most Lax – Gun Restrictions.” Inverse. October 5, 2017. Accessed February 28, 2018. https://www.inverse.com/article/37141-state-gun-law-maps. NSSF. “Firearms and Ammunition Industry Economic Impact • NSSF.” NSSF. Accessed February 28, 2018. https://www.nssf.org/government-relations/impact/. Smith, Tom W., and Jaesok Son. Trends in Gun Ownership in the United States, 1972-2014.Technical paper. National Opinion Research Center, University of Chicago. March 2015. Accessed February 28, 2018. http://www.norc.org/PDFs/GSS%20Reports/GSS_Trends%20in%20Gun%20Ownership_US_1972-2014.pdf. “US gun control: What is the NRA and why is it so powerful?” BBC News. January 08, 2016. Accessed February 28, 2018. http://www.bbc.com/news/world-us-canada-35261394. Watkins, Eli. “Rubio stands by accepting NRA contributions: ‘People buy into my agenda’.” CNN. February 22, 2018. Accessed February 28, 2018. https://www.cnn.com/2018/02/21/politics/rubio-nra-money-cameron-kasky/index.html. Previous Entry Netflix: Will it fall like a House of Cards? Next Entry Should Art be Included in an Investment Portfolio?